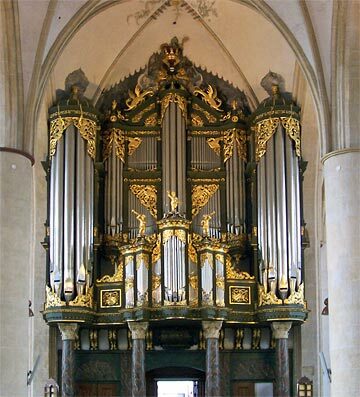 After WWII Rudolf von Beckerath, organ builder in Hamburg, Germany, visited many historic organs and made careful notes and measurements for the German government. There are over 200 pages of notes and the quality of the copy-of-a-copy-of-a-copy… varies greatly. I have assembled scans of the pages for each organ in a multi-page pdf document. These can be viewed online or downloaded by clicking on the links below. ©2019 Richards, Fowkes & Co.